Welcome to River Oaks Family Optometry where our optometrist and team cater to your eye care needs. 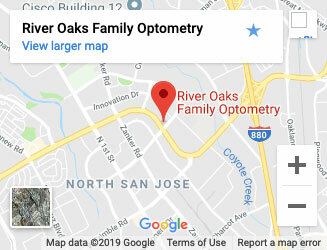 Our practice has served families by offering ortho-k and comprehensive eye care in San Jose, California, and the surrounding areas of Santa Clara and Milpitas, California, for many years. Dr. Elaine Chung provides several eye care services in order to meet her patients’ needs, including adult and children’s eye exams and hard-to-fit contact lenses, to eye emergencies, treatment of eye diseases, ortho-k and co-management of eye surgery such as LASIK. Our office has a warm, inviting atmosphere and is complete with state-of-the-art retinal scanning technology including a fundus camera that helps us take a closer look at the health of your eyes. Our friendly, outgoing team works hard to help patients feel comfortable. We are located within Silicon Valley and strive to provide excellent care for all who visit us. To learn more about us and to set up your next visit with Dr. Chung and team, we welcome you to contact us today. We are eager to improve your vision! Overall my experience was more than five stars. The exam was very thorough. 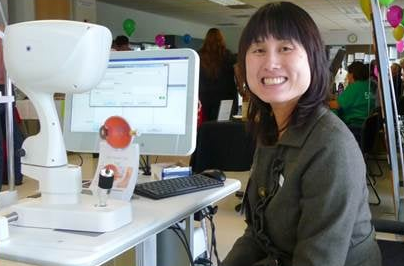 Dr. Chung explained every step of the process and went into detail about my eye health. The staff was also very helpful. I will be returning for annual checkups. Staff very courteous . Doctor conducted all the required tests and explained the results well. I've been to this Optometry for a few years with annual eye exam. They have latest equipment and the doctor is super patient in explaining everything that's going on in your eyes to you. It's super friendly place and the staff there are all super nice. No pressure on purchasing eye wear from them. I would recommend this place for your eye needs. Very good experience. It was my second time coming, this time it was a bit of an urgency and they booked me in to the next day and the Dr. was very good as well as all the staff. We want to make the process of selecting your new eye wear be fun! We take pride in taking care of you. Thank you for trusting us! My child is spending a lot of time looking at tablet, Should I be concerned? This generation of children is spending more and more time on screens and computers. Though this has some benefits related to school and learning, it can also cause some eye troubles. Excessive computer and screen time can cause Computer Vision Syndrome and can possibly contribute to the development and progression of nearsightedness (myopia). How does a child eye exam different than an adult eye exam? We understand that some of the little ones may be a bit shy and may not respond to the convention questions and answers format. Our doctors are comfortable with using different techniques to play with them to make sure they are seeing properly, do not have a “lazy eye” and that their eyes are healthy. Myopia or as it is commonly known, shortsighted/nearsighted is a condition that develops and continues to worsen during school years. Not that long ago, this condition was addressed only with corrective lenses. However, there are long-term risks associated with Myopia, particularly if it began early and progresses quickly. These risks include serious eye diseases and conditions including glaucoma, macular degeneration, and even retinal detachment. River Oaks Family Optometry is pleased to provide a number of treatment options to slow or even halt the progression of myopia, while significantly decreasing the long-term health risks to your child's vision. Our office has a friendly, inviting atmosphere for your child and our outgoing team works hard to help your child feel comfortable. Dr. Elaine Chung provides several pediatric eye care services in order to meet her patients’ needs, including children’s eye exams and ortho-k. We are eager to improve your vision! See our new Child and Teen Eye Care page for all the information you need to take the possible best care of your child's vision! To learn more about us and to set up your next visit with Dr. Chung and team. We can't wait to see you! 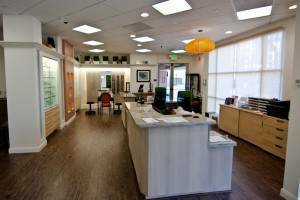 At River Oaks Optometry, we strive to provide North San Jose with the latest fashions and brands of designer frames. You’re sure to find the perfect glasses to suit your face, your taste, and your lifestyle. Click here to see some of the quality brands we offer.